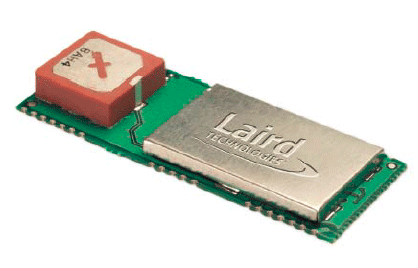 The Embedded Bluetooth AT Module is designed for applications that demand a robust and reliable Bluetooth connection. This product is designed with solder connections for mounting directly onto a main PCB. The integrated high-performance, multilayer ceramic antenna is highly resistant to de-tuning, allowing great flexibility in positioning. BISMS02BI is based on Cambridge Silicon Radio’s BlueCore4 chipset. The module contains all of the hardware and firmware for a complete Bluetooth solution, requiring no further components. The module has an integrated high-performance antenna which is matched with the Bluetooth RF and baseband circuitry. The firmware integrated into the module implements the higher layer Bluetooth protocol stack, up to and including the Generic Access Profile (GAP), Service Discovery Profile (SDAP), Serial Port Profile (SPP) and Audio Gateway. A virtual processor within the BC04 implements an AT command processor. This interfaces with the host system over a straight forward serial port using an extensive range of AT commands. Audio can be transferred over SCO channels through the PCM interface at 64 kbps. PCM can be configured as master or slave. Support for dual slave PCM connections. Less than 36 mA during data transfer in standard power mode. Lower power use is possible with a configurable low power mode.